The scorched road leading up to A-Z West, on the border of Joshua Tree National Park. 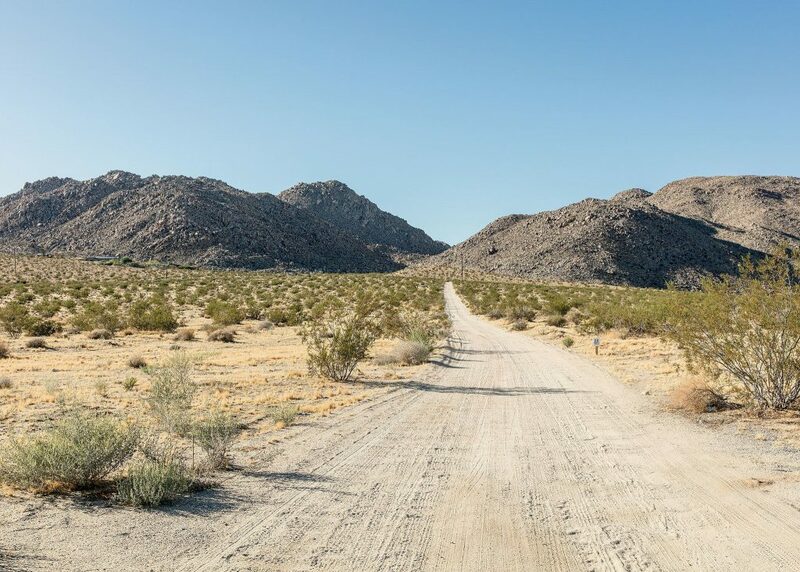 Journalist Kate Bolick recently wrote about her experience in visiting artist Andrea Zittel in the Californian desert. Zittel has spent the past 20 years of her career exploring solitude and this path has led her to create her “Experimental Living Cabins” at A-Z West near Joshua Tree National Park. It is a beautiful article in which the author takes us along on her journey through Zittel’s most recent project. The experimental cabins challenges one’s philosophical understanding of needs – something urgently required in this time of over consumption and exploitation of the planet’s resources. With only a bed and a gas light in the cabin, existence in Zittel’s world is pared back to include only the most necessary elements.